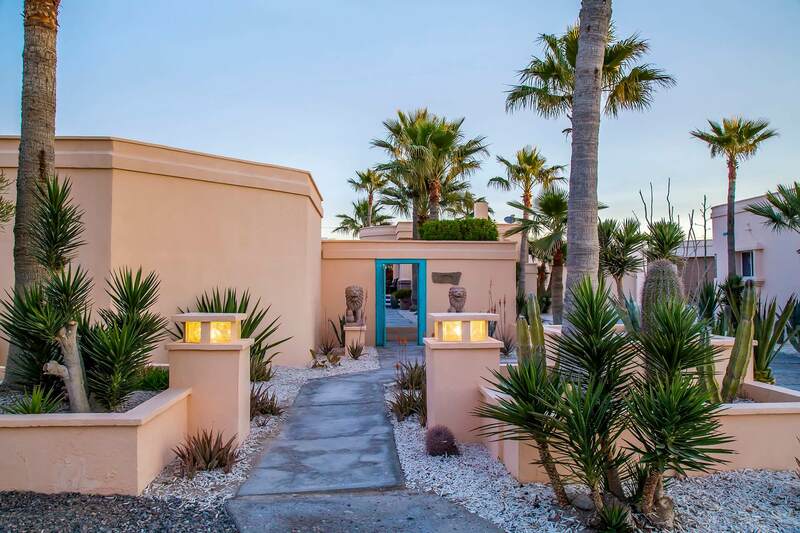 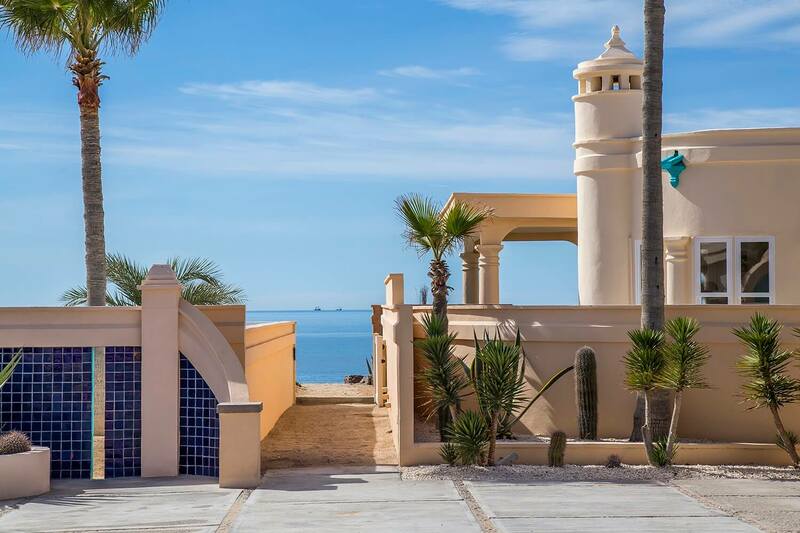 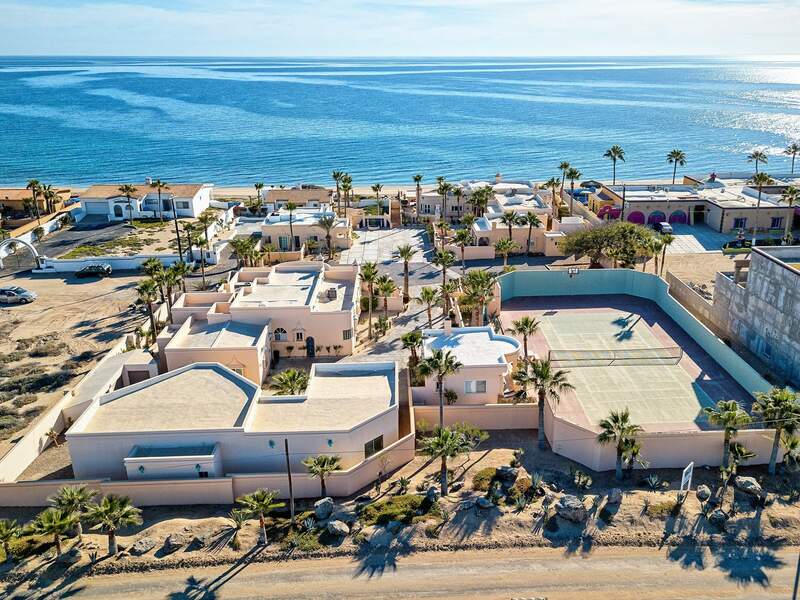 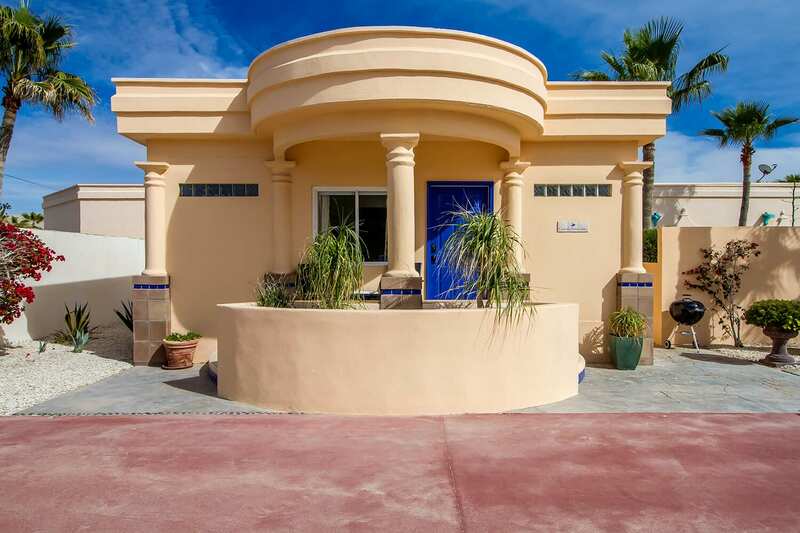 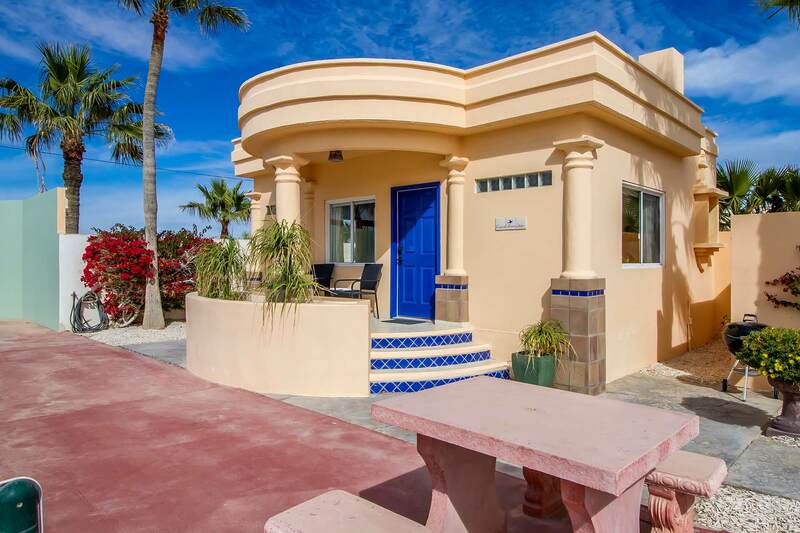 a 1.5 acre beach front estate in the community of Las Conchas in Puerto Peñasco (Rocky Point), Mexico. 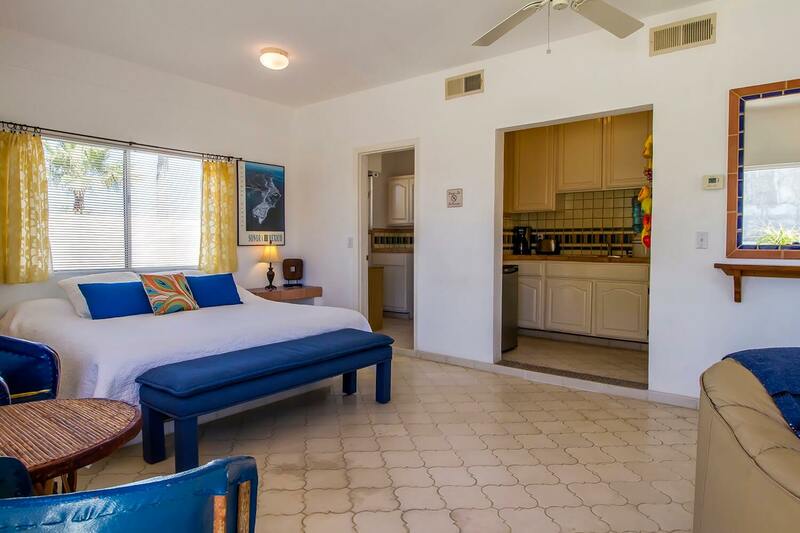 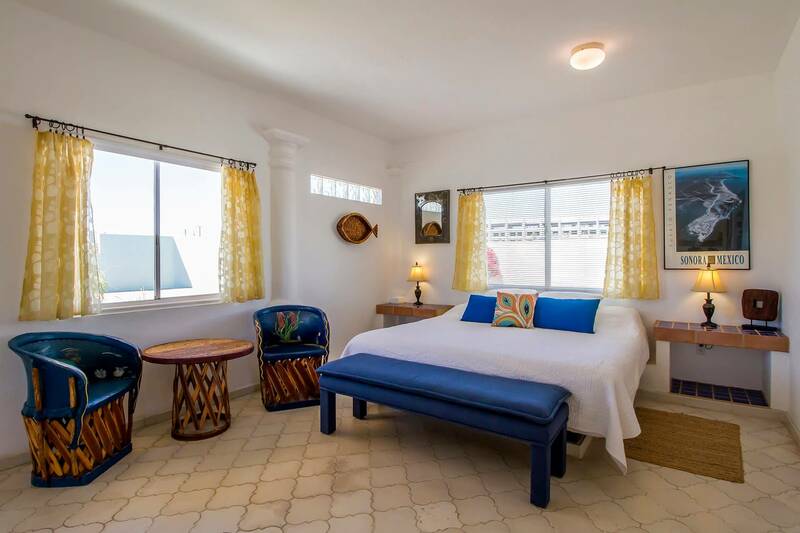 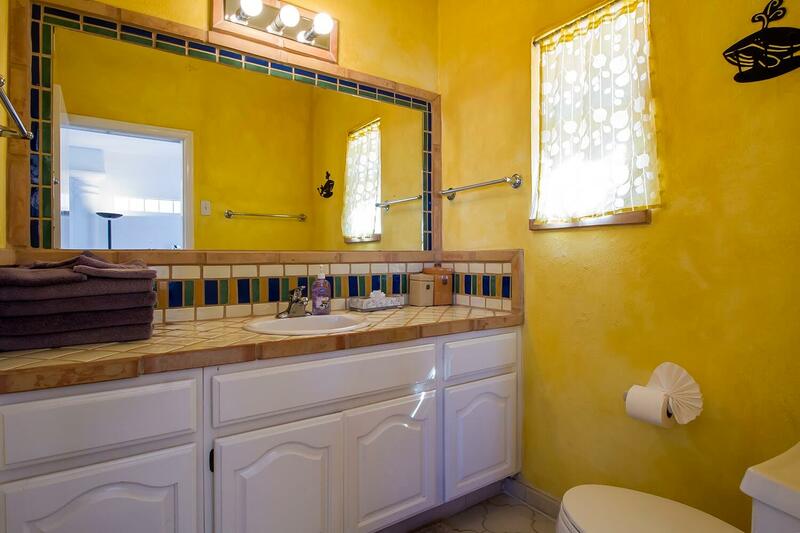 Casa Buena Vida features a comfortable king size bed, kitchenette and satellite T.V. 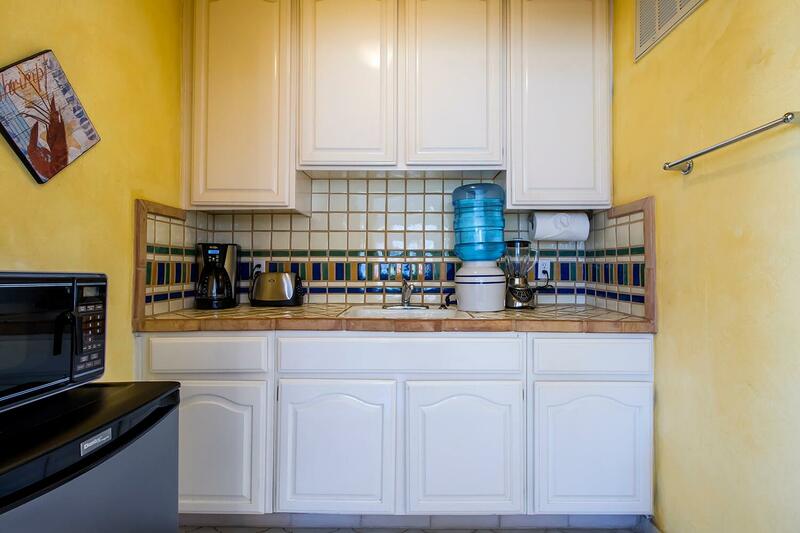 The kitchenette has about everything you need (except a stove) including a microwave, blender, toaster, coffee maker, electric skillet, BBQ grill, filtered water, microwave and small refrigerator. 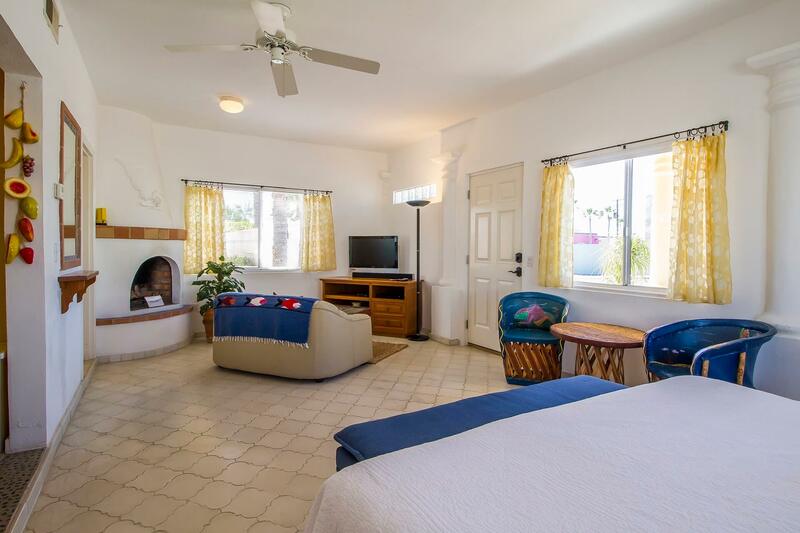 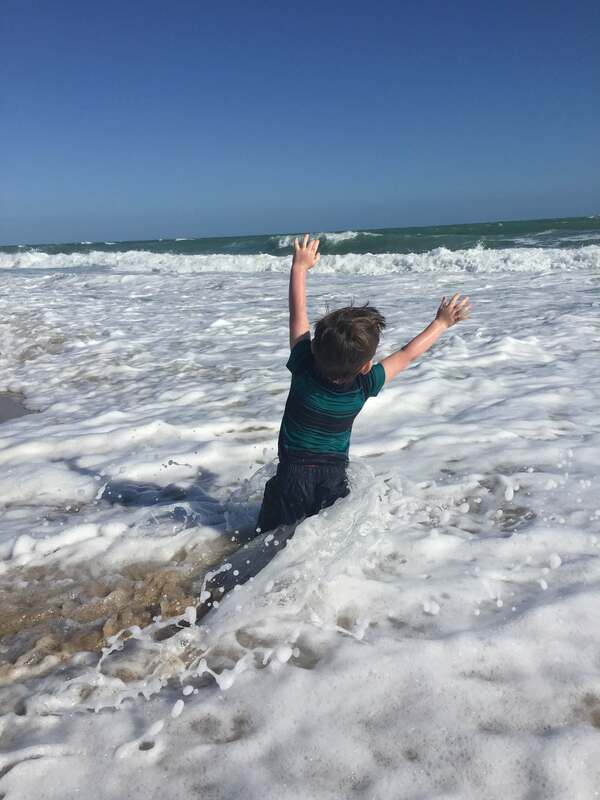 At Casa Buena Vida, you are only about 85 steps to enjoy the 5 miles of Las Conchas beach! 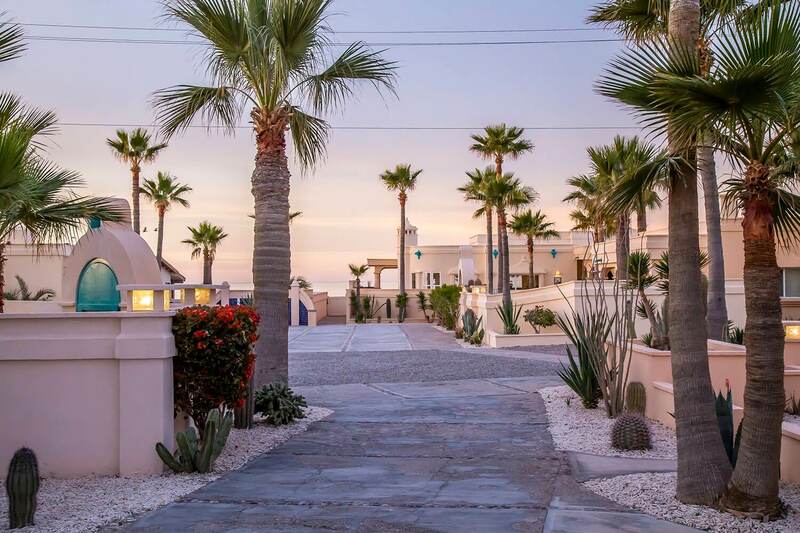 See entrance to the beach below. 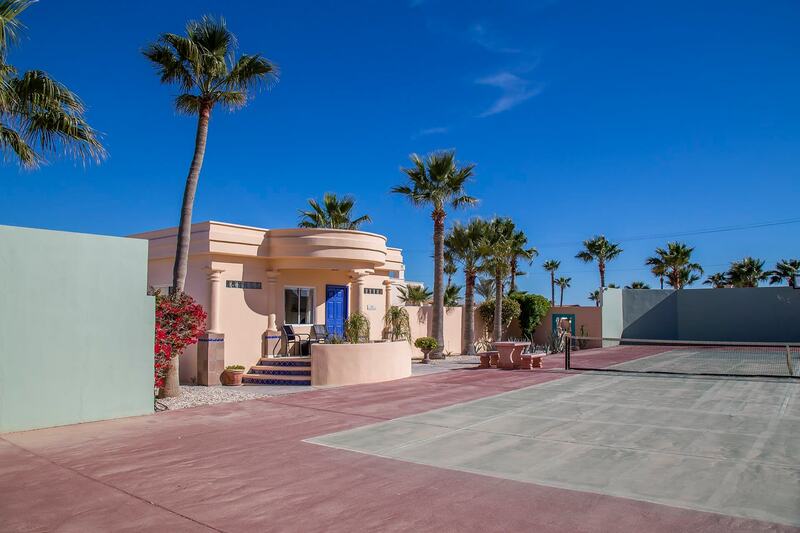 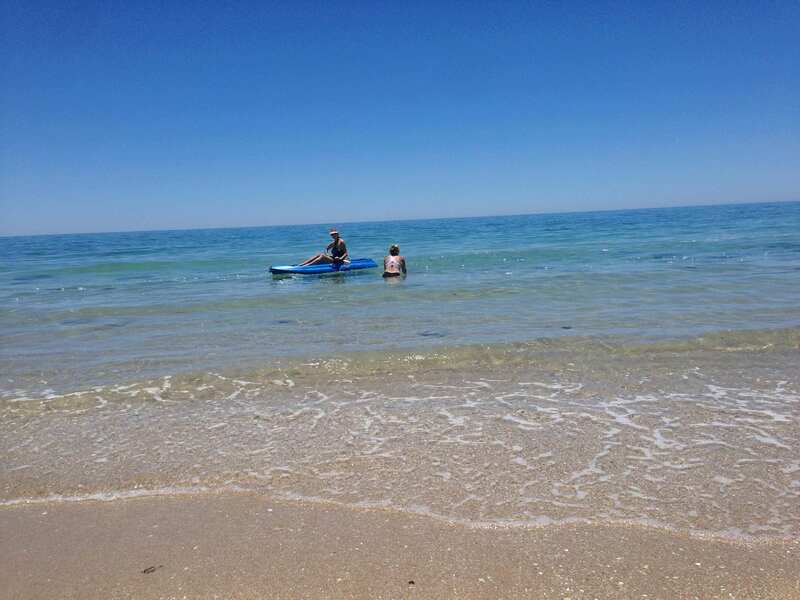 Kayaks available for your use are parked on the beach side of this beach access breezeway. 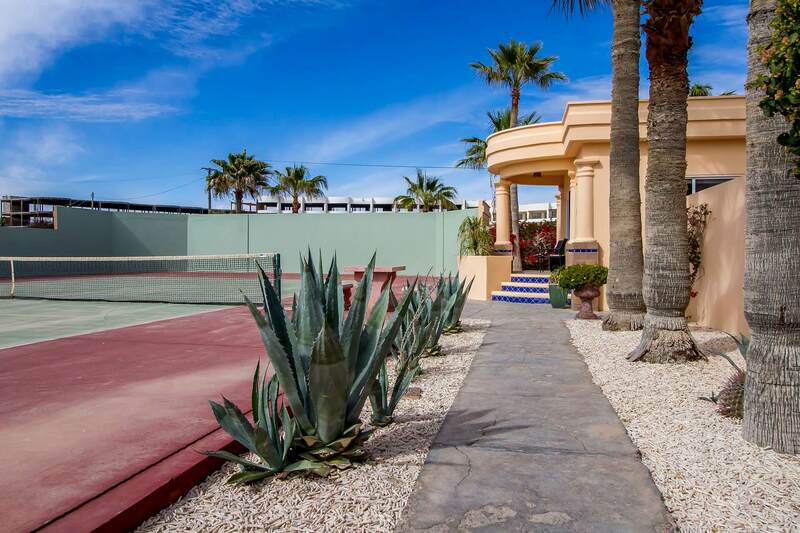 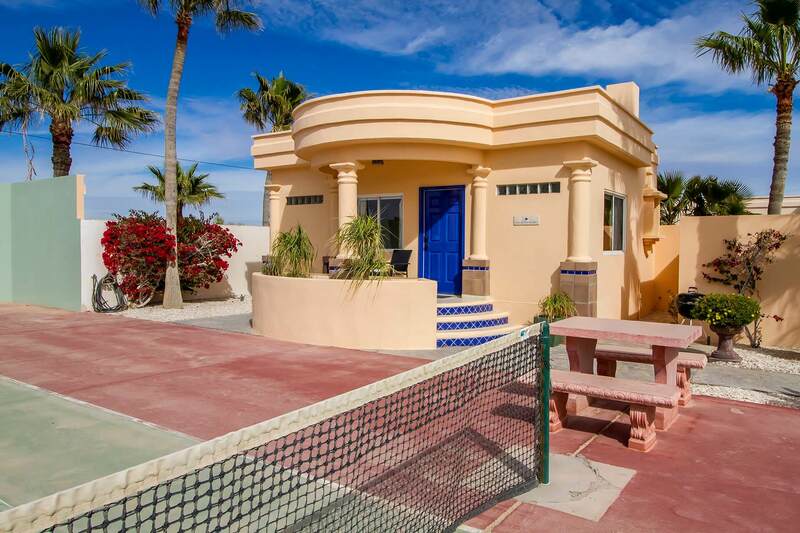 Casa Buena Vida sits court side on a private tennis court and basketball court. 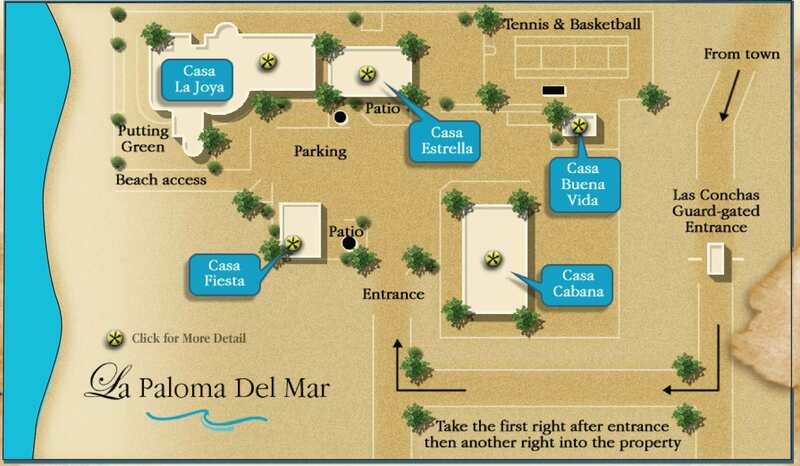 Below is the Casa Buena Vida floor plan as well as La Paloma del Mar site plan and the view from above. 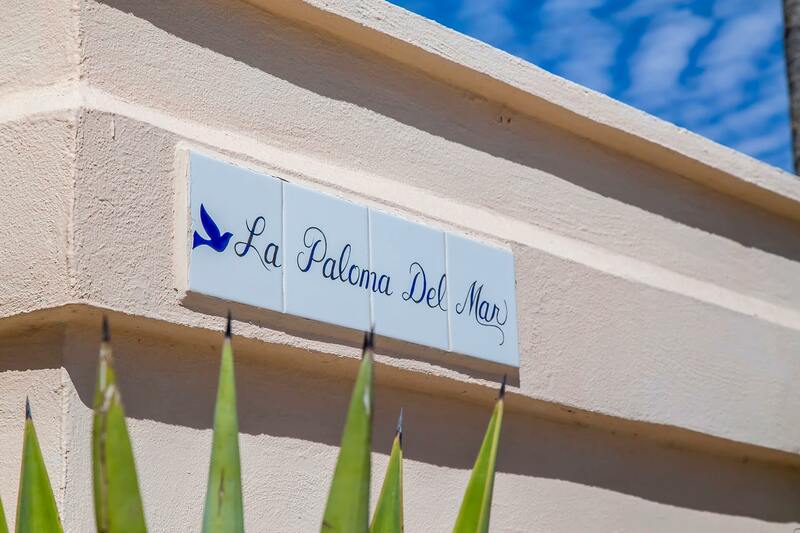 La Paloma del Mar is a 1.5 acre beachfront estate located within the guard gated community of Las Conchas. 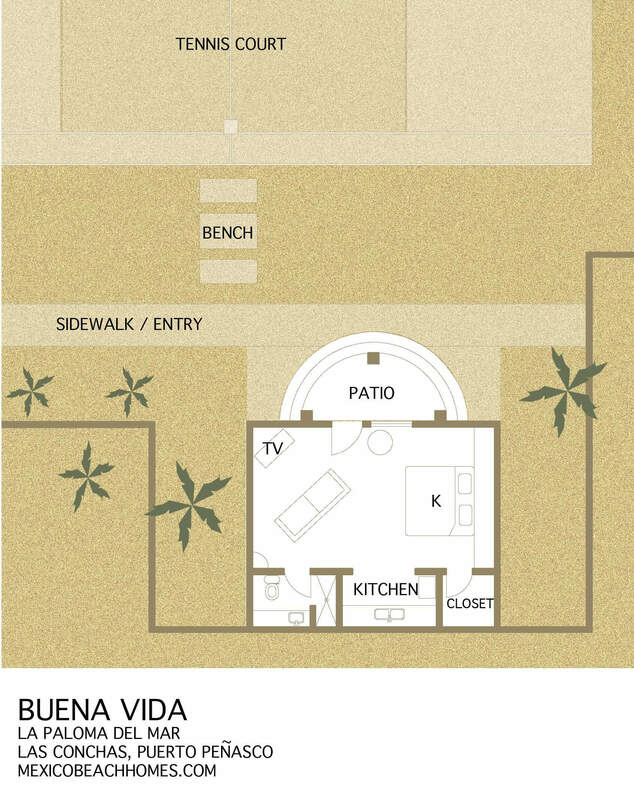 Interested in renting Casa Buena Vida?